The original Range Rover enjoyed a 26-year production run, during which time it was almost unanimiously regarded as the best off-roader in the world… bar none. That’s an exceptionally long production run. 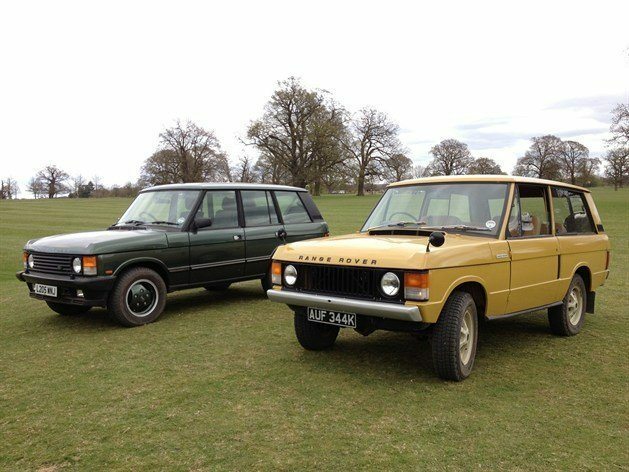 A 1993 Range Rover Vogue meets a more utilitarian 1971 example. Land Rover’s post-Evoque era has been a story of consistent success. Sales records are continually broken, profits are rocketing, and demand for the company’s ever expanding model range has never been higher. Younger readers might think this is a new phenomenom for the maker of the ‘world’s best 4x4xfar’, but similar success befell Land Rover during the early 1970s in the wake of the launch of the original Rangie. At £1998, it offered a combination of power, torque and all-round ability that no other car at this price point came close to matching. The V8 powered all-weather Range Rover defined the SUV class, and charmed two generations of monied owners thanks to its all all round classlessness. Our 1971 car perfectly encapsulates the ambitions and desires of its engineering genius creator Spen King, as well as its stylist David Bache. And it should come as no surprise that minimalist examples such as this are the ones that everyone seems to want – enjoying burgeoning values, and massive demand from classic buyers who’ve recently switched on to its charms. For the first ten years of its life, very few changes were made to the Range Rover – not because its maker didn’t want to make them, nor because buyers didn’t want them. The Range Rover remained largely untouched as it was starved of investment by a parent company – British Leyland – that was in dire straits. However, because of the sheer inherent brilliance of the Range Rover, when those improvements – five-doors, automatic transmission – were belatedly introduced, buyers lapped them up anyway. And the 1993 Vogue we have pitched against the ’71 original is pretty much the ultimate product of the Range Rover’s extended Indian summer of sales. All its missing is the 108in wheelbase stretch, air suspension and soft dashboard of the very last cars… It comes with four-speed automatic transmission, air conditioning, power steering, windows and central locking, features which the 1971 car lacks. So why is it worth so much less? Jumping into the 1971 Range Rover it’s easy to appreciate what it was about this car that so enraptured buyers back in 1970. The lofty driving position that’s now seen as quite normal really was something new back then – enjoyed by lorry drivers and farmers, and certainly not those with Bank Manager-sized budgets. But that one aspect of the Range Rover driving experience really is central to its appeal – you sit high, enjoy near unimpeded visibility with the steering wheel pretty much in your lap. The view over the ridged bonnet is still unique. The Rover V8 fires up with a lazy, slightly uneven, rumble. Engaging a baulky first via a long-throw gear lever and heavy clutch, driveaway is smooth, but not for those who dislike heavy controls. The cumbersome feel of the ’71 Range Rover isn’t improved come the first corner – without power steering, the huge, spindly wheel is quite an effort to turn, especially at parking speeds. But not only is it heavy, but it’s also indirect and woolly. And once you’re in the corner, be prepared for lots of body roll (see above). It’s not as bad a situation as it might appear, as the damping is superb, and you never feel like you’re not in control. The sloppy steering and soft ride might be necessary for those needing to bridge the Darrien Gap, but it’s far from ideal when cruising up the King’s Road. 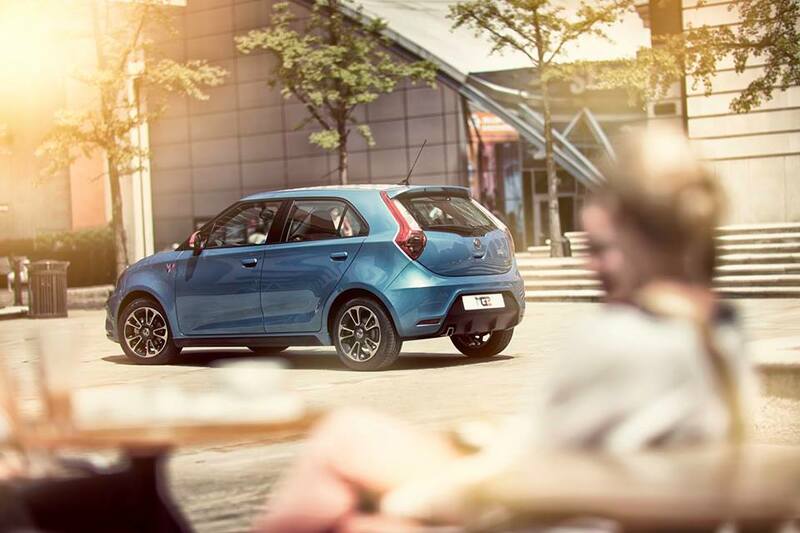 But once underway and out of the city, you’ll love the cosseting suspension and comfortable seats. This is clearly the perfect car for covering long distances – even without the benefit of overdrive or a five-speed gearbox. 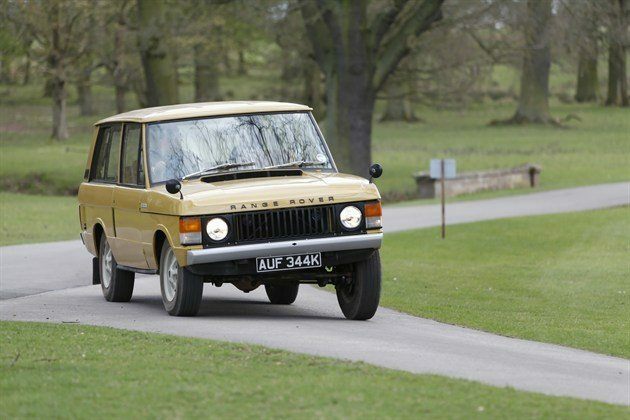 By 1993, when our Vogue rolled off the line, the Range Rover was a very different beast. It had been developed very much as a luxury car, and one that any Mercedes-Benz S-Class or BMW 7-Series owner might not feel too alienated by. So there’s a plushly-trimmed cabin, plenty of equipment, a good sound syatem, and if you’d plumped for the SE model, leather seats. Since the company discovered that buyers were more than happy to pay a premium for class, the price went up, as did the Range Rover’s aspirations. So, although when you jump into the ’93 car, you’re undergoing the same procedure of stepping up into the car and settling into a firm captain’s chair with that wonderfu view forward, somehow it all feels much more homely, and – dare we say it – usable. And it also feels reassuringly familiar. But you can also appreciate the huge improvements that have been made along the way. Thanks to fuel injection, you start it up, and the 3.9-litre immediately settles into a smooth, near-silent idle. Then you slide the T-bar selector of the ZF autobox into ‘D’, lift your foot gently off the brake, and onto the light, adjustable throttle, and smoothly set off. It’s so dignified compared with its more agricultural forbear. It’s much easier, too. Thanks to lightweight power steering and a small thickly padded wheel, the ’93 car is a whole lot more manoeuvrable, feeling more lightweight on its toes. Come the first corner, it still suffers from body roll (see below), but far less so than the early car – and thanks to steering that’s more road-biased, you always feel just that little bit more in control. And that’s what really marks out these two cars. 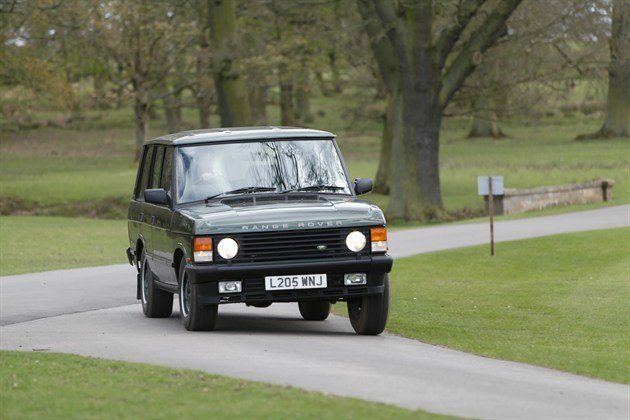 The original Range Rover is brilliantly conceived, but the refined 1993 version allows you to enjoy all the best bits without the suffering from the failings. Let’s not beat around the bush here. The Range Rover is brilliant. As a piece of design, it was – and is – so brilliantly fit for purpose, and looks so good, that we can completely understand just why a model of it was displayed in the Louvre, and why it also went on to enjoy such a long and fruitful life. As an off-roader, it was unrivalled – and yet, on the road, it was also masterful. A rare combination that few cars – even to this day – manage with quite so much verve. And with that in mind, it’s easy to declare the 1993 car the better of the pair. How could it not be? After all, it’s more usable, more comfortable, better equipped, faster, better-made (yes, really), and thanks to much improved colour palettes, more timeless to look at, too. But then, the original is just so unsullied as a piece of industrial design; as a concept; as a piece of art, that we can fully understand why the hose-clean 1970s car has so many classic car fans. However, we’ll be happy to buy a later car and enjoy the creature comforts that we all enjoy in our cars today, because – let’s face it – few of us will be venturing too far off-road in our classic Range Rover. Leave the early cars to the truly affluent, as they head towards investment-grade status, get the best you can, while adhering to our buying guide, keep it clean and well-serviced, and enjoy years of pleasurable motoring ahead. Lovely cars – I had a 1995 model with the soft dash, air suspension and all the toys from 1999 to 2007 and I still hold a candle for it today. A shame then that these last examples of the breed, which were surprisingly well built in other ways suffered from poor quality steel and they rust horrendously, soon there will be more early ones left than late ones, they are disappearing from our roads at an alarming rate. Good condition Range Rover CSKs are now fetching a lot of money, with some examples easily topping £30,000. In the 1990s there were several very appealing special edition variants that are now proving to be rare in terms of surviving numbers. Think of the ‘In Brooklands Green’ (casually referred to as simply Range Rover Brooklands) limited to 150 examples. In the autumn of 1993 there was the ‘Gold Script’ (not its official name) based on the 3.9 Vogue SE but finished in a choice of either Beluga Black (40 examples) or unique solid finish British Racing Green (60 examples). Each example was distinguished by having the special features of 5-spoke TWR alloy wheels (from the accessories range), Lightstone leather seats (introduced for the North American market) and specially created gold-finish ‘Range Rover’ and ‘Vogue SE’ decals in place of the regular dark grey items. Very few people actually knew about the existence of this variant and no coverage has ever been given to it in Land Rover history literature. June 1994 saw the 4.2 Vogue SE Autobiography (26 examples) based on the standard 100-inch wheelbase 5-door body but finished in British Racing Green metallic (from the Rover Cars colour pallette) with the TWR body styling enhancement kit, TWR alloy wheels, Lighstone leather interior and gold-finish exterior decals. Lastly, from October 1995, was of course my favourite: the 25th Anniversary Final Edition (25 examples) based on the 1995.5 Model Year specification 3.9 Vogue SE, but now featuring the special colour of Oxford Blue metallic, Lightstone interior, chrome bumper overriders and special badging on the front wings. Incidentally, if anyone knows the whereabouts of any of the 25th Anniversary Final Edition models, please do get in contact with me as I have been running the historical register for this derivative since June 1996. I have No.19 of the final 25 classics produced. When we moved to South Carolina, USA, the Department of Motor Vehicles allowed me to import the vehicle, which, I believe is the only 25th anniversary classic in the US. 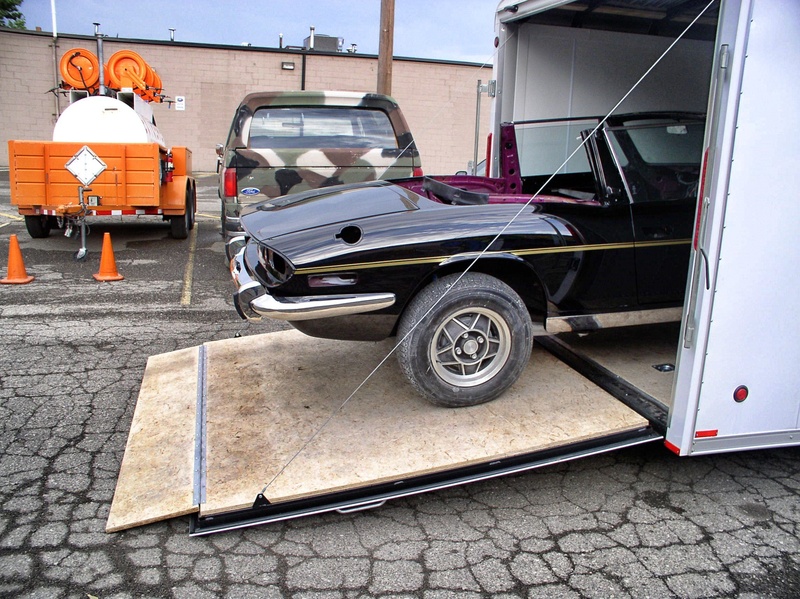 I purchased the vehicle from Lindacre, Ipswich and before shipping it to the US I had it completely re-furbished. I have 71,000 recorded miles and the car runs well. Just bought no. 11, arm and a leg but after well into the 20is of various range rovers have got rid of my 4.4 vogue se ,I hate diesel particulate filters, and gone back to a proper Range Rover with only 14,000 miles, well pleased. I’vr heard about some pre-1973 examples have had their VIN plates tranferred to later models to get round the classic road tax exemption. A friend had a 1971/K from new which in March 1991 had only done 23000 miles. It cost him somewhere around £2000 new in December 1971 after a long delivery wait. He loved and cossetted this car being a WW2 veteran he was old fashioned a gentleman and appreciated fine British engineering. It never towed, never went off road, never smoked in and was as basic as you like with NO power steering, no rear wash wipe or heated rear window, no radio,and no electrics. Regular he would start with the starting handle [being low compression and running on 2 star] it turned over easy, something that is forgotten about the early to mid 70s RRs. The car was in Sahara beige with tan Palamino plastic seats were mint as was the plastic mats. The car was mint and original even the spare and tools were unused and I believe the car still survives and is now in a museum somewhere in the North of England?. One of the small dealers I worked at owned a 1976 P reg example that served as nothing more than a recovery vehicle if dear old Mrs Miggins Rover 100 went phut conk outside a village bakery! I remember the Silverstone gathering for the Mini`s 35th birthday. The day before and the morning during said event the Rangie spent all if its time recovering crippled Mini`s and hauling them back to our Towcester premises and our car park looking more like a breakers yard every hour. The evocative sound of the whine from the transfer box as you go through the intermediate gears is a row you never tire of! The Perfect Range Rover,i was outbid on a soft dash last year after quite a journey as well! Bought through an ex-BMW employee, a retired development engineer. BMW bought Rover, ordered 50 cars to ‘help’ developing Range Rovers and of course their own to-be X5 series. The car was nearly new, although it was just the only one in the bunch I did NOT want. Pembroke grey with grey velours upholstery. I asked Mr BMW which one he’d buy and he said the grey one. Only used by high to the highest management (Pischetsrieder the then chairman had taken it to the Dingolfing factory) because higher management had to come into the Range Rover feel. It had done two days on a test track, pulling a fifth bicycle wheel, hence the damaged tailgate. Wanted new tyres, he called and asked me if I’d accept a set of Michelins that had done 1200 Kilometers. BMW had a truck tachograf mounted in the box between the frontseats, so hence the meticulous documentation. The car had done 48 thousnad K and, because BMW just got rid of Rover, it was a steal. Drove it till it had done 98k and sold it. I loved it,the wife loved it but mostly petrol stations loved it. 3.9 litre V8 Lucas hot-fuel injection. 1 litre to five kilometers, doing 90 or 140 kph, it did not matter. One day I got pulled over by the police and as a rule they’d always asked you why I was speeding. Gave them the fuel consumption explanation and the officer got mad. Simply dismissed him by telling him he was the one who’d asked for a reason, not me. It was a good car too, except that typical British gremlin of a leaking heater radiator, leaking inside the box where the stereo was mounted. Discovered it because Aznavour was singing like Clouseau all of a sudden. For the rest it never missed a beat and they have this Lord of the manor appearance, but in a great and typically undercooled British way. And its non metallic pembroke grey colour, every naval base you’d pass would automatically open the gates, thinking the admiral has arrived. I think that classic looks great. I have two 89 range rovers, one late and one early. I have built one up and plan to pull the body off the early one to make a 100″ hybrid series IIA. What parts of the body are not compatible. I know for example the door hinges stick out on the early but could the doors still fit? what should I save from the extra body? I have plenty of storage space. One of your contributors (David) is compiling a historical record of the 25th edition vogue. I have no.19 purchased from Lindacre, Ipswich on 04/12/95. I have been the only owner and the vehicle has covered 69,000 miles. I moved from Suffolk to South Caroline, USA during June 2012 and the Washington Department of Motor vehicles allowed me to import it. This may be of interest to David.